One of the most beautiful surviving pre Columbian painted manuscripts is the Codex Borgia. Though the exact place of its origin is not known it is presumed to originate from the Central Mexican highlands probably near Puebla or the Tehuacan Valley which was an area under the Aztec rule at the time of conquest. 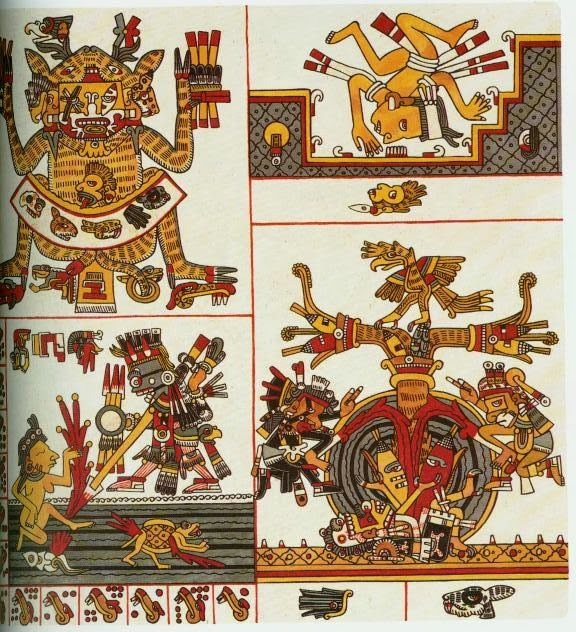 The codex which was beautifully painted before the arrival of the Spanish does not indicate any European influence and dates around the 15th century. Towards the 16th century it was sent to Spain from Mexico and then to Italy. In 1805, the great German scholar, Alexander von Humboldt saw it in Rome among the possessions of Cardinal Stefano Borgia who died the previous year and the same is in the custody of the Apostolic Library of the Vatican. 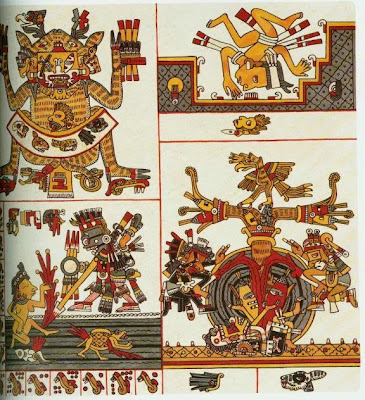 From its sample sized Mesoamerican manuscripts, it is presumed that the manuscript had been handmade as a single unique piece of art though sequences of earlier manuscripts have been copied. 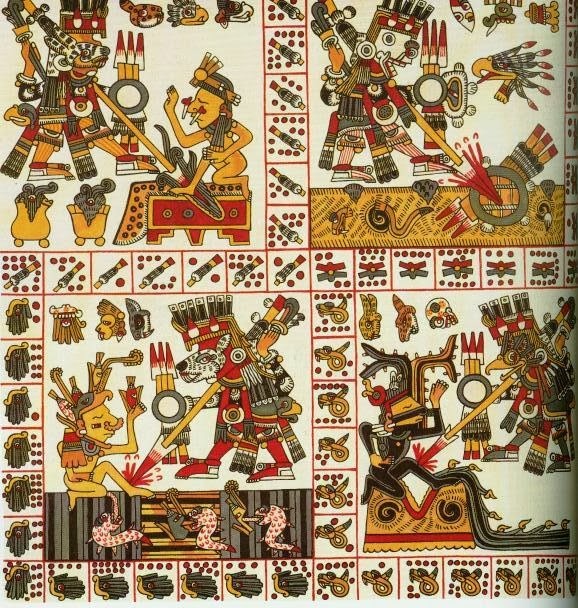 These Mesoamerican codices which are screen fold books have long strips of amate paper, or animal skin which are folded in an accordion style and covered with white lime plaster coating, enabling the scribal priest to paint the manuscript with both mineral as well as organic pigments and the Mayan codices are prepared of amate paper obtained from bark of the ficus cotinifolia or the wild fig tree. The original Codex Borgia was made of folded animal skin where the strips of skin were attached at both ends folded into a screen fold with each page measuring 27 x 7 cm containing 39 pages, where 37 of them painted on both sides. Two pages were painted on just one side, where the back side was used to affix them to the end pieces made of wood totaling to around 76 painted pages with a length of over 11 meters. 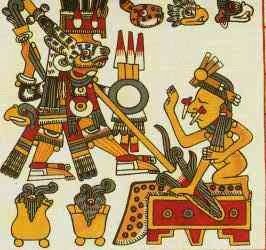 While the Mayan codices read from left to right, this manuscript was read from right to left. The Codex Borgia was more like a religious book made by specialized scribal priests and since there were no indication of any type of making device, no huge production was possible. These manuscripts were intended not just for storing information or reading for amusement but the stories were related in an oral tradition. 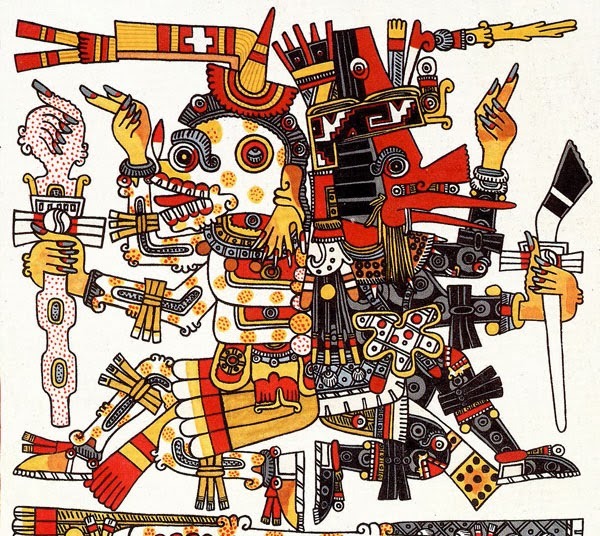 The intention of the Mesoamerican books was to take hold of time and the realm of religion and history where images were more important than words with the Central Mexican and Aztecs people. They were intended to be used in an active manner for religious ceremonies where the priest would make public readings, prophecies or even use them during consultation in order to predict the lives of those intending to marry or those interested in learning about the future of their child and other information. 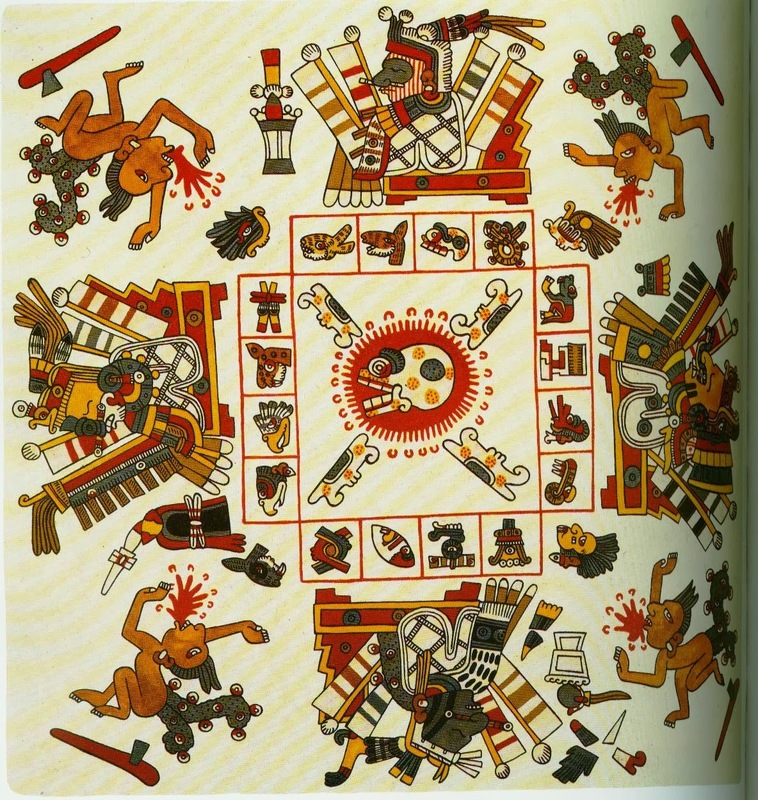 Though there is no survivor who could read and interpret the codex in a way it was done by ancient Aztec priest, there is plenty of speculation on the exact content of the manuscript but the known fact is that it was a ritual book. The longest sequence of the Codex Borgia is a mysterious one which shows a story which is unique and probably an account of historical events with reference to Tula and Teotihuacan who were linked to many rituals like sacrifices and ball games. 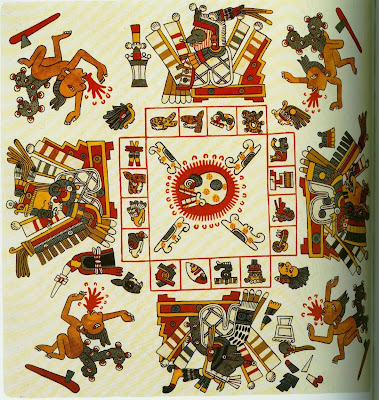 The codex contained plates used as prediction tools for successful marriages while the last pages indicated beautiful image of the sun god accompanied with 12 birds, a butterfly which symbolized the thirteen levels of heaven.